Today we offer the 2014 Barolo’s and 2016 Valmaggiore Nebbiolo d’Alba. There’s 2 Bottles of 2013 Aleste and 3 Bottles of Le Vigne up for grabs + the 2008 Barolo Cellar Release and 2012 Valmaggiore Cellar Release up for grabs. Starting with limited vineyard experience, Luciano, released his first wine from the 1978 vintage and has since gradually accumulated land holdings across virtually all of the communes in Barolo, and, the Valmaggiore vineyard in the Roero. Reflecting on this I see great similarities to part of Burgundy where young winemakers have taken the reigns and without a doubt the ‘New World’. Why? A fascination with experimentation, using technology, new oak, lead to a dramatic change in the wines being produced. Similarly, in Barolo, new oak barriques, stainless steel fermenters of all shapes and sizes, and, technologies that had not been used before were all introduced. Today, most are reducing the amount of new oak they are using and bring back the large 1,100 to 5,500 litre Oak Botti of the past which help the wines remain fresher whilst ageing and impart little oak character. The suave, seamless texture, fine tannins and depth of flavour of these Barolos makes them some of the most sought-after wines of the region. With age, they are so polished, so pure, so seductive. Sandrone uses 500lt barrels (typically only 10% – 20% new), picks at very low yields and bottles his wines before they lose their freshness or purity. His wines are wonderfully intense and vibrant with ripe, fine tannins. They drink well young and age brilliantly. Like most of the greatest producers, he takes the best of the old school and incorporates the best of the new. Sandrone’s wines stand proud no matter the region, or, whether the wine was blended or single source! Read more about them in the reviews below. To put this in context. I’ve drunk an incredible amount of Barolo and Barbaresco. Over the last year I’ve devoured 12 vintages of Giacomo Conterno’s Cascina Francia, 11 Cru Wine from Produttori Barbaresco, 3 from Domenico Clerico, 12 Cappellano’s both Pei Francesca and Rupestris, Monprivato, Gaja Barbaresco, Aldo Conterno’s Romirasco, Vietti’s Castiglione, and, several of Paolo Scavino’s Cru’s. Below is a cast of Barbara talking through the 2013 releases and a number of back vintages of Sandrones wines. We spent half an hour chatting after the masterclass. She’s a wonderfully down to earth, passionate woman, who truly believes she’s lucky to share the experience of working the land with her family. I had to crack one of these after trying the Sandrone. It's a great comparison. Scavino's Cannubi is perhaps more rustic, both, are great wines. We sold out of our initial allocation, I had to buy more, hoping to put it in my cellar! You can get the full range of Scavino 2013 Cru's in the store. These are best prices for the offer and will increase post offer. From the Importer: This is far and away the finest vintage of Valmaggiore we have shipped, but more of that in a moment. For those new to this wine, the Sandrone family farm a continuous, three-hectare vineyard in the Valmaggiore area of the Roero that they planted themselves in early 1990’s. This is an extremely steep (50% gradient in places), spectacularly beautiful, terraced vineyard planted to a high density of 8,000 vines per hectare. The soil here, comprised of almost pure sand, littered with limestone fossils (i.e. it is chalky sand), gifts a remarkably perfumed and elegant expression of Nebbiolo, nothing to do with the more powerful styles of wine produced in the clay rich soils of Barolo and Barbaresco. The vineyard is farmed meticulously and organically, and a strict sorting occurs each year to reach the level of purity and intensity we see in the wine today. It’s from a truly great Nebbiolo vintage, but I also think that vine age is now making a major impact on the quality of this wine being released each year. As always, this is a wine of great finesse but there is added depth and flesh this year. Expect an incredibly fine yet intense palate with notes all kinds of small red and dark forest fruits, rose petals and anise. There’s a core of something bloody and a lick of powdery tannins to close. A wine of great finesse and perfume. The 2016 Nebbiolo d'Alba Valmaggiore is particularly beautiful, thanks to ideal growing conditions during that year. The Sandrone family counts 3.5 hectares in this location. As an alternative to Barolo, this wine presents a soft and graceful side of Nebbiolo with delicate fruit nuances and distinct mineral etchings. Indeed, the wine is almost salty in taste. The sandy soils of Valmaggiore contribute to shaping the wine's lively ruby appearance and those tangy wild berry aromas. This wine is only aged in neutral oak. From the Importer: An absolutely superb Valmaggiore that is drinking beautifully. It’s starting to show some deliciously complex secondary characters such as tobacco, leather, spice on both the nose and palate while, in the mouth, it is fine, cool and long and with the kind of finesse we expect from top Burgundy! From the Importer: A blend of several small parcels of vines from a number of communes, Le Vigne is Luciano Sandrone’s ode to “traditional” or blended Barolo. All of the sites that go into Le Vigne are markedly different in terms of altitude, soil and exposure, and together they help provide a broad overview of Barolo in a given year. As for the previous release, this wine now includes fruit from four communes: Barolo (Vignane), Serralunga (Baudana), Novello (Merli) and a new source in Castiglione Falletto – the renowned Villero. Sandrone has taken a long-term lease on 1.5 hectares of this latter cru (perhaps best known for Bruno Giacosa’s ‘Villero’ bottlings between 1978 and 1996). The vines here average around 30 years of age and Sandrone credits the Villero fruit as adding depth and structure to the blend. Regarding the winemaking, the wild yeast fermentation begins in tank before the malo and ageing occurs in mostly used, 500 litre French oak casks. Approximately 20-30% of the fruit is fermented in whole bunches with the destemmed portion of the fruit also having a very high percentage of whole berries. The maturation in cask for the 2013 lasted 26 months, followed by 18 months in bottle before release. Both Sandrone Barolos are bottled unfiltered. This is really a beautifully pure and classic Barolo from an estate at the top of its game. Yes, it’s a lighter year, but this simply means the wine will drink better earlier. Expect a savoury, open and complex palate loaded with dark fruits, forest pine and loads of tobacco. The balance and structure are spot on and I think may well age better than many expect. Regardless, it will make for wonderful drinking over the next decade. Obviously the Galloni note below steal our thunder. Simply a lovely Le Vigne. A blend of several small parcels of vines from a number of communes, Le Vigne is Luciano Sandrone’s ode to “traditional” or blended Barolo. All of the sites that go into Le Vigne are markedly different in terms of altitude, soil and exposure and together they help provide a broad overview of Barolo in a given year. As for the previous release, this wine now includes fruit from four communes: Barolo (Vignane), Serralunga (Baudana), Novello (Merli) and a new source in Castiglione Falletto – the renowned Villero. Sandrone has taken a long term lease on 1.5 hectares of this latter cru (perhaps best known for Giacosa’s ‘Villero’ bottlings between 1978 – 1996). The vines here average around 30 years of age and Sandrone credits the Villero fruit as adding depth and structure to the blend. Regarding the winemaking, the wild yeast fermentation commenced in tank before the malo and aging in mostly used 500 litre French oak casks. The maturation in cask lasted 26 months, followed by 18 months bottle aging before release (ditto for the Cannubi Boschis). A wine of great poise, density and length. Although it has incredible power, there is a balance, restraint, and, harmony, that gives it elegance and immediate generosity. It's rich, layered with complexity and lovely fine tannins. "The 2013 Barolo le Vigne is another stellar achievement from Luciano Sandrone and his family. Since 2010, the blend for this wine has been tweaked just a bit to include more fruit from the Baudana cru in Serralunga d'Alba. This wine shows a ripe and succulent mouthfeel with ample richness and power that drives the wine smoothly over the palate. These darker qualities can be attributed to the Baudana fruit that is known for power and heft. Fruit from the Villero cru in Castiglione Falletto offers delicate perfumes and ethereal elegance. This vineyard site is home to loose, sandy soils. The combination of these two extremes is simply delightful." From a classic vintage when harvest finished at the end of October, this is magic juice. Still relatively tight, especially on nose, it certainly will benefit from air and decanting. Serve it in a bigger glass as well. The notes below say enough about the outstanding quality on offer here. In 2008 this wine came from the vineyard sites of Vignane (Barolo), Merli (Novello), Conterni (Monforte) and Ceretta (Monforte). From the Importer: The name of the wine may have changed, but Sandrone’s flagship Barolo is still, and will remain 100% Cannubi Boschis, the Barolo vineyard so synonymous with this grower. To be clear, Boschis is a particular terroir or vineyard area within the Cannubi hill. The Boschis subzone sits near the northern end of the hill and is located directly across from the Sandrone cellars. The cru (of which Sandrone farm 1.9 hectares of 37 year old vines), has a particularly good exposure to the south and southeast in a small amphitheatre or “conca” that helps hold warmth in the early morning. Its soils are sea deposits of calcareous clay with some sand and therefore excellent drainage. Highlighting the uniqueness of the wines from this terroir compared to the rest of the Cannubi hill, Alessandro Masnaghetti’s L’Enciclopedia delle Grandi Vigne del Barolo writes, “The wines, in general, have good body, much elegance, and more polished tannins than other Cannubi wines.” The winemaking for Aleste is a facsimile of the wine above, includes wild yeast fermentation with 20-30% whole bunches, ageing in mostly used 500 litre French oak casks, and bottling without filtration after 24-26 months. Again, the notes below give you more than enough descriptors. This is more tightly wound than the le Vigne above but still offers layers of creamy, ripe plummy fruit, with hints of tobacco and Amaro and a punchy, sappy finish. Really refined, classy, delicious Barolo. ALESTE is the new name for Sandrone’s Barolo Cannubi Boschis. Giving all the experience, knowledge, patience and passion of his many harvests, Luciano pays tribute, with boldness and sensibility, to the next family generation: “ALESTE” is in fact the combination of the names of his grandchildren ALEssia and STEfano. Over the last decade conflict has reigned upon the owners of Cannubi and the sub-regions, Cannubi-Boschis, Cannubi-San Lorenzo, Cannubi-Muscatel, and, Cannubi-Valletta. In question the naming of the main Cannubi vineyard and whether it’s status should be passed on the all the sub-regions. With an established reputation, and, the confidence, or, perhaps wisdom of 40 years experience, the name change was opportune. The purity of Aleste is striking. Incredible, incredible harmony, beautiful poise. Stunning flavours, incredible vibrancy, life, fruit that lingers forever. Extremely perfumed with blackberry and chocolate aromas. Hints of mushrooms. Full body, soft and velvety tannins and a long and flavorful finish. Shows wonderful potential. This replaces their Cannubi Boschis bottling. Better in 2020.
of the most finessed, vivid young Barolos I have ever tasted from Sandrone. Sandrone is using for the Barolo formerly known as Cannubi Boschis. 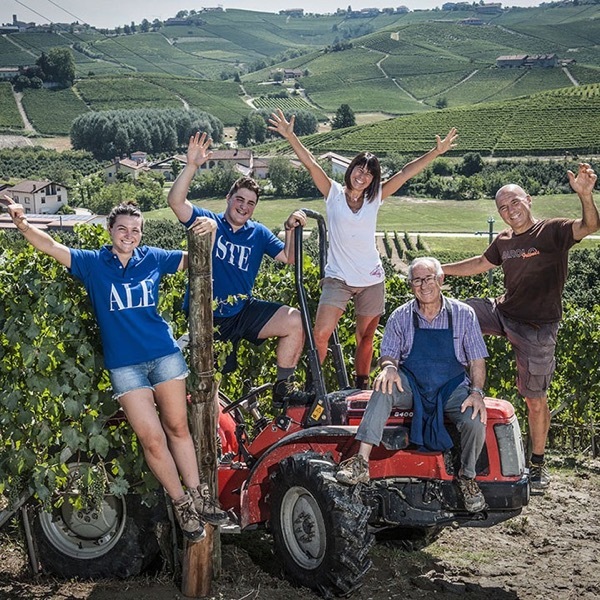 "Formerly known as Barolo Cannubi Boschis (the last vintage by that name was 2012), the 2013 Barolo Aleste has been renamed to honor the youngest generation of the Sandrone family, Alessia and Stefano. 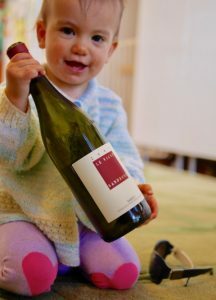 The wine name Aleste takes the first three letters from each grandchild's name. The move represents the culmination of more than 50 harvests completed by this legendary winemaker and his desire to pass on the torch. His grandchildren are at different points in their respective viticulture and enology university studies. Now under a different name, the wine obviously shows the same delicate floral nuances that you get with this wine (fruit from Cannubi is always harvested first). This is a complete and exciting wine with delicate notes of wild berry and smoke backed by licorice and blue flower." While this is an outstanding vintage of Cannubi – rich yet classic, perfumed and so long – it’s still so young! Really needs another decade to hit its straps and for all of its elements to integrate. Don’t get me wrong, still a great drink now, only the potential is huge.